A recent discovery that guar could stiffen water so much that a mixture is able to carry sand sideways into wells drilled by horizontal fracturing, also known as fracking has made this bean a commodity in demand. Halfway around the world, earnings are down for an oil services giant, Halliburton, because prices have risen for guar (The bean that is used in fracturing), the bean that many Rajasthan farmers have now started to grow, abandoning their traditional farming crops. . The increase in guar prices is helping to transform this part of the state of Rajasthan in north-western India, one of the world’s poorest places. This hard little bean when ground up, it becomes an essential ingredient for mining oil and natural gas in a process called hydraulic fracturing. 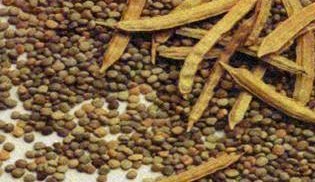 This bean Guar is so hard that it can crack teeth, has become an unlikely global player, and poor farmers in India have suddenly become a crucial link in the energy production of the United States. For centuries in Rajasthan India , farmers here used guar to feed their families and their cattle. These beans are easier to grow in the Rajasthani desert, a land poor in rain. Commercial interest in guar first developed when food companies found that it absorbs water like a souped-up corn-starch, and a powdered form of the bean is now widely used to thicken ice cream and keep pastries crisp. The fracking boom in the United States and now spreading in Europe has led to a surge in natural gas production, a decline in oil imports and a gradual transition away from coal-fired power plants. "Without guar, you cannot have fracturing fluids," said Michael J. Economides, a professor of engineering at the University of Houston who is a fracking expert. "And what everybody is worried about is that there is virtually no guar out there now." 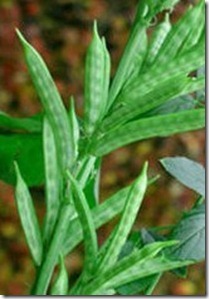 In March, the United States bought 33,800 metric metric tons of guar gum from India, the highest amount ever. Last year, U.S. firms bought an average 22,000 metric metric tons from India a month. Vikas WSP, an Indian company that specializes in the production of guar powders. Vikas signed contracts with farmers guaranteeing a return of nearly $800 per acre if they planted guar, no matter what this year’s monsoon brought. "Last year was an extraordinary year," said S. K. Sharma, managing director of Lotus Gums and Chemicals in Jodhpur. "In 35 years in this business, I’ve never seen that." Mr. Sharma said his company would soon open a second plant dedicated entirely to serving gas companies, adding that he was cautiously optimistic that guar prices would remain robust. "But we know there are efforts to grow guar in China, Australia, California and elsewhere, and it has us worried,"
Neil Beveridge, an oil analyst at Sanford C. Bernstein & Company, said demand for fracking services should continue to grow rapidly as the industry expanded outside North America. "We’re already starting to see a big increase in Eastern Europe, Argentina, Australia, China and India itself," he said. Mr. Economides, the Houston fracking expert, said. 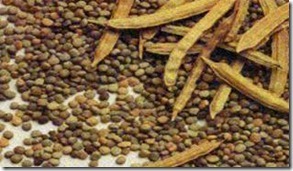 "There are no easy or cheap alternatives to guar,"
That is good news for guar producers and farmers of Rajasthan India.